Wii - even cheaper to produce? 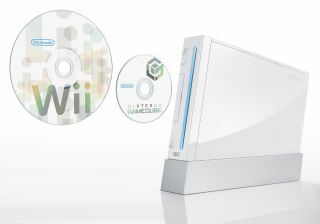 Nintendo has managed to cut the manufacturing costs on its already cheap Nintendo Wii by 45 per cent according to a Credit Suisse analyst. Koya Tabata tells the Financial Times that Nintendo has nearly managed to halve the Wii production costs, which would obviously have a huge impact on the Japanese company's bottom line. This is especially impressive bearing in mind that, of the three consoles in this generation of games machines, the Wii is apparently the only one being produced for a profit at launch anyway. Sony's PlayStation 3 and Microsoft's Xbox 360 are both loss leaders for the brands, with revenue generated by game licensing and peripherals rather than sales of the consoles themselves. The news that the console's production is massively cheaper than it was at launch comes soon after the UK was told that the current financial climate, and the slipping pound, would herald a price rise for the Wii. Most major consoles become cheaper to manufacture in their life cycles – with the cutting edge technology quickly becoming less expensive and production methods changing – but a 45 per cent reduction is still huge. Of course, an analyst suggesting something does not make it fact, but Credit Suisse analysts have a good track record in these matters.